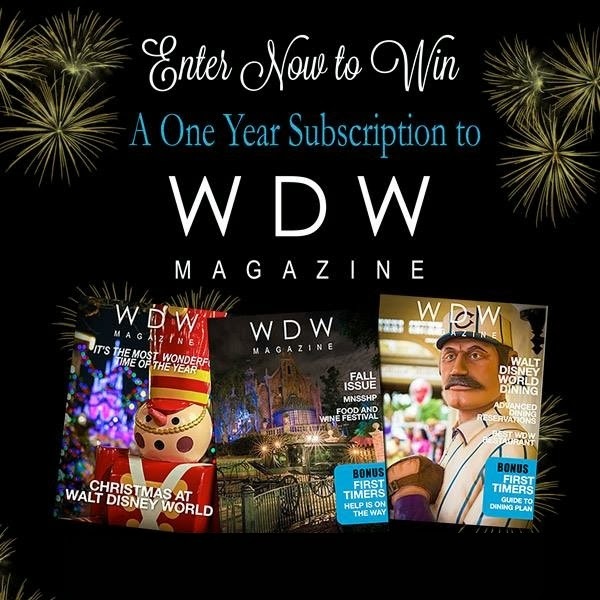 Picturing Disney: Win a One Year Subscription to WDW Magazine! WDW is an awesome e-zine filled with Walt Disney World articles, images, and videos. "WDW Magazine is all about finding the best of Walt Disney World. The best pictures, the best stories, the best videos, and the best information you need for a Perfect WDW vacation." This great magazine is jam packed with everything you need to keep you up to date on the newest happenings and help you with your trip planning! I love that when I log in I can see past issues and refer back to articles which can be helpful for trip planning. I also love the amazing pictures and videos in the magazine. I used my iPad Mini and it was great. I especially love how you can enlarge the beautiful images found throughout the issues. When you read through the issues of this fun magazine you really can tell the care that went into making it unique and special. There are tips for planning, dining, and even at home projects. The "Best of WDW" features are my favorite part of the magazine. I love Disney history and love articles that explore the different attractions.